After a very uncomfortable far too hot night we were rather sluggish this morning. Despite it being winter here we are in the tropics! At least it is the dry season so not so humid. We continued our way east along the route known as the Savannah Way, but in essence it is still Route 1 which is the main road that "circumnavigates" the entire Australian mainland. 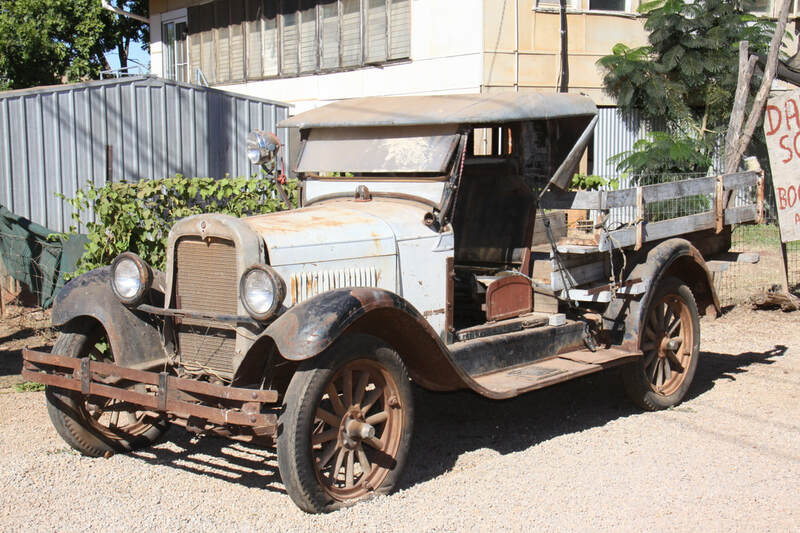 It was easy driving along the well maintained, fast road which carries little traffic. We have even got used to the road trains. The whole day we passed through only two settlements. 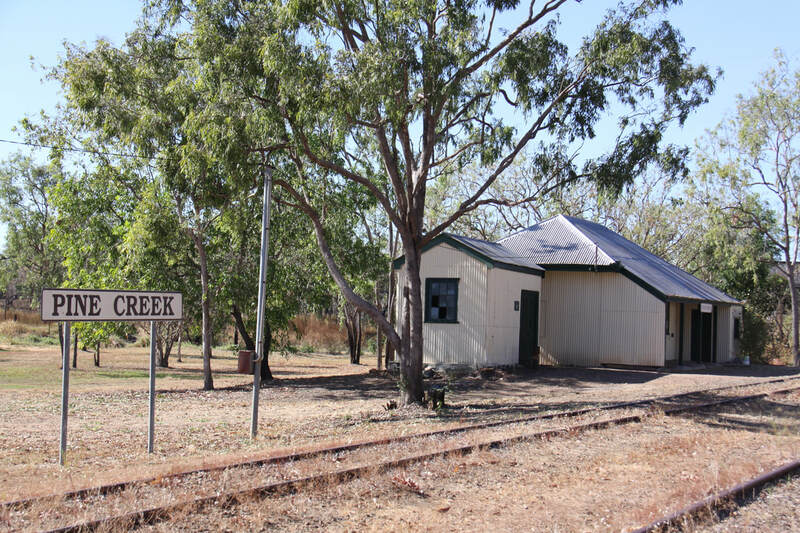 The first one, Timber Creek, had a campsite, a shop, a Police Station and two filling stations; the second, Victoria River, only had a campsite and a roadhouse - fuel and food. We passed a couple of dirt tracks leading to a cattle station, otherwise there was no sign of habitation all day. Overnight at Mathison Rest Area. This morning, an hour or so's drive took us to Katherine, the only major town in this part of the Northern Territories. We stopped a few miles short of the actual town centre to have a bathe in the hot springs. What a welcome dip. In town we took the opportunity to access wifi, stock up on fresh food, fill up the water tank and empty the waste tanks. - so a useful stop. We purchased the requisite expensive National Park passes (why do we let foreigners visit our national parks for free?) so we are all set to go into Kakadu National Park (UNESCO World Heritage), in the morning. Overnight at Harriet Creek Rest Area on the Kakadu Highway. A short drive this morning took us to the entrance of Kakadu National Park - no information centre and no check to see if we had bought a pass. We took a short walk up to the Bukbukluk lookout before heading further into the park. Passed two visitors centres but both were closed! As most of the tracks leading off from the main road we re unsealed 4WD access only, we didn't have much choice as to what to see. We visited Yellow Water but fortunately, none of the salt water crocodiles put in an appearance! In the turtle shaped building of the Warrandjan Aboriginal Cultural Centre we learned about traditional life and how they adapted to embrace the white settlers way of life. Overnight at Malabanjdju camping area which was close to water and had rather too many flying insects than we would have liked. Mosquitos had meant that we both had a very hot night as all windows had been closed and we had also burned a mossie coil. 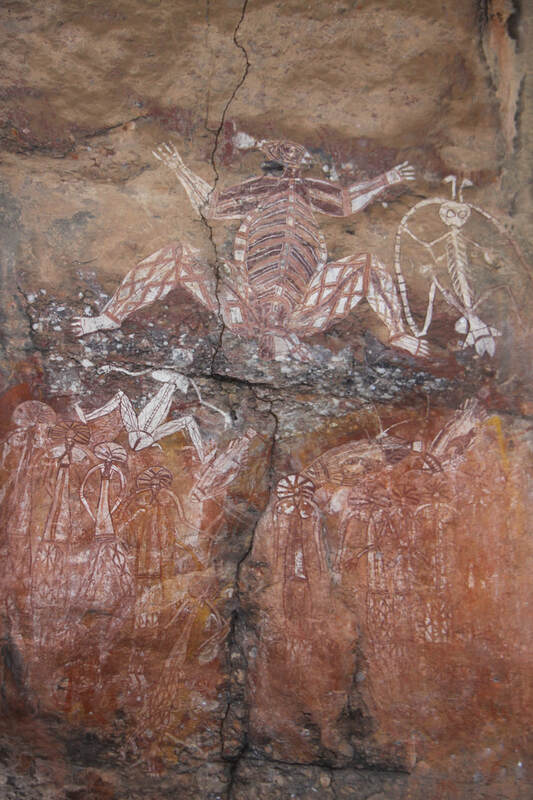 We got up early so that we could go to see the aboriginal rock art at Nourlangiel before the day got too hot. 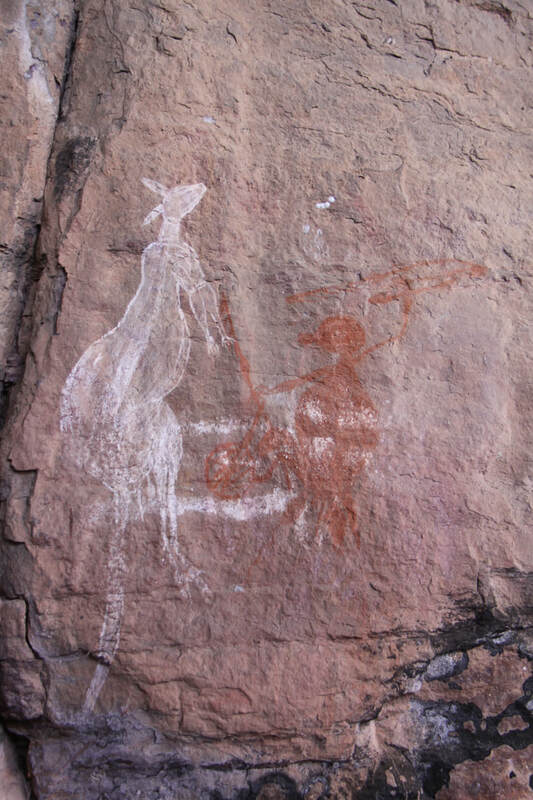 An easy track with a little scrambling brought us to some fine examples that had been painted on the walls of rock shelters. Our walk also took us up to a fine viewpoint over the wetlands. A visit to Kakadu's main information centre gave us a clear, overall view of the landscape and aboriginal culture followed by an informative video. Jabiru is the only settlement within the National Park so we were able to buy tonight's meal there. Next we headed to Cahills Crossing where crocodiles congregate for the incoming high tide and the mullets it brings with it. 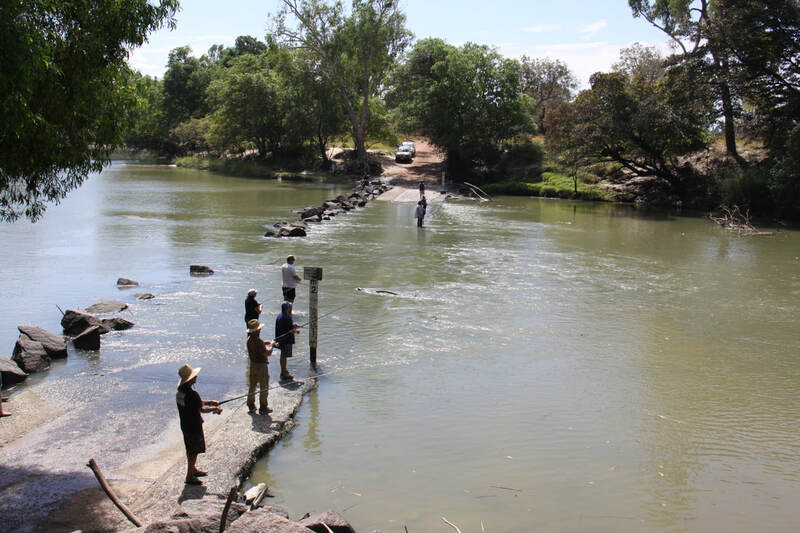 The East Alligator River (incorrectly named by early explorers who misidentified the inhabitants) is very fast flowing and within an hour had risen by over two metres. Fishermen and a sea eagle were also keen to catch the fish, the sea eagle being much more successful! A long drive through the park was needed to find an overnight halt at Beatrice Hill rest area. We were right on the edge of the wetlands, in fact we could see from our campsite both the "Window on the Wetlands" centre and the "Jumping Crocodile" boat tour jetty so we new tonight would mean more mosquitos. Windows stayed closed tight despite the heat inside the van! Up early so that we could reach Darwin before the day was too hot. We needn't have worried as there was a lovely fresh breeze blowing in from the sea. 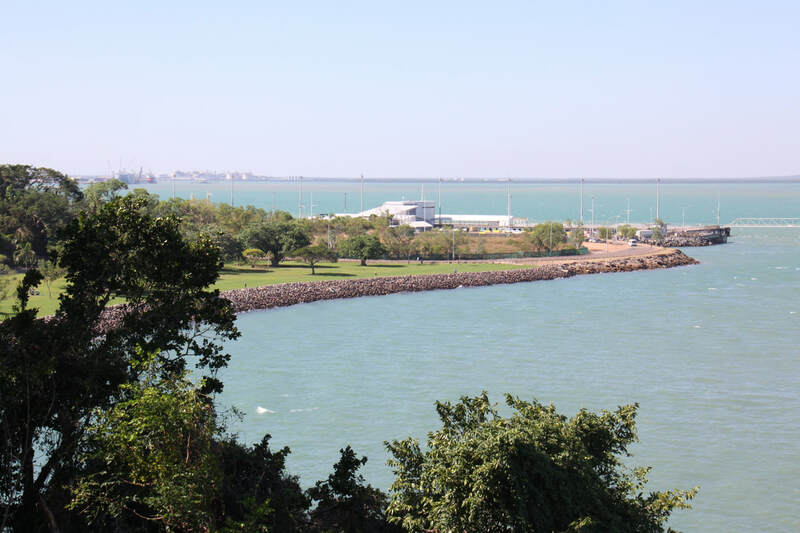 Darwin and its suburbs spread for miles but the original settlement was a grid pattern of streets lying between the beautiful Bicentennial Park, Fishermans Wharf and the newly developed Darwin Waterfront. 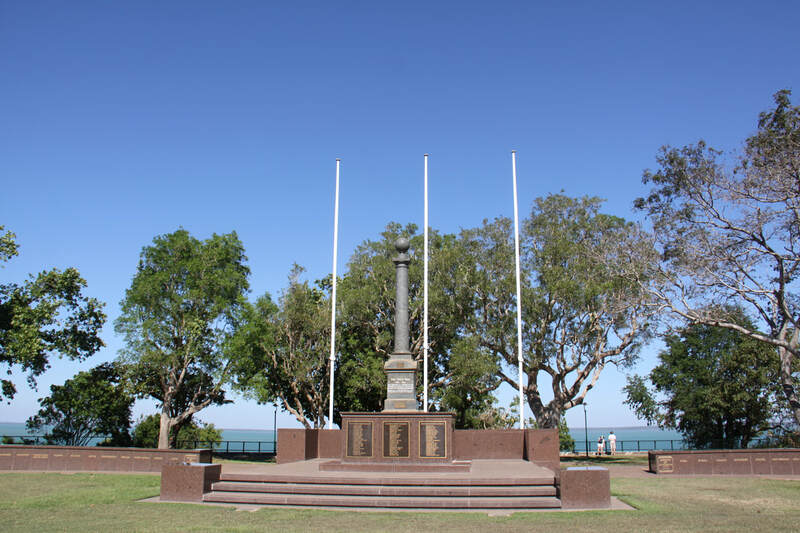 Darwin was the first Australian town to be bombed by the Japanese during World War 2. 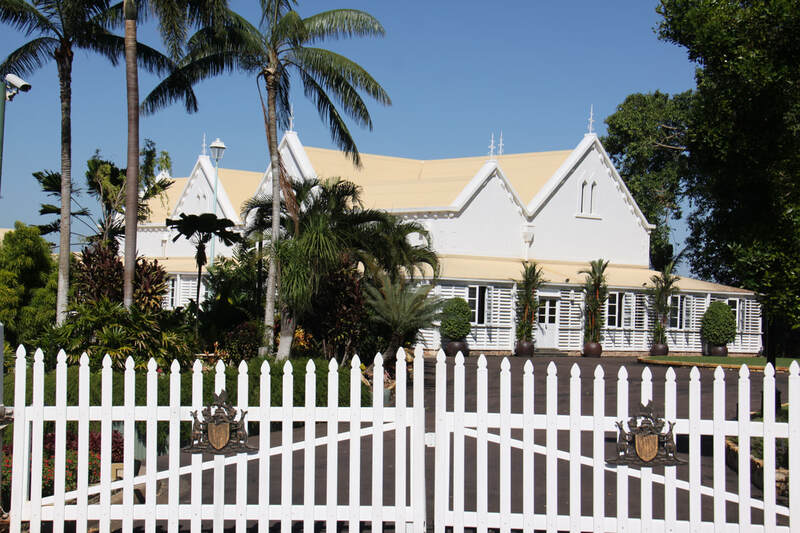 An interesting heritage trail took us to what little is left of Darwin's historic buildings. As the town suffered over 64 raids, remains of gun emplacements, memorials to the dead and the subsequent air strips that were commissioned and used to bomb Japanese targets in Indonesia, are very prominent in the surrounding area. Overnight at Bridge Creek parking area. A lot of campers had already pulled in for the evening. We sat outside in the shade and chatted to our neighbours. We drove for an hour to the small settlement of Pine Creek. Pine Creek was established in the late 1800s and as such is the only original mining town remaining from the 1870s gold rush era. 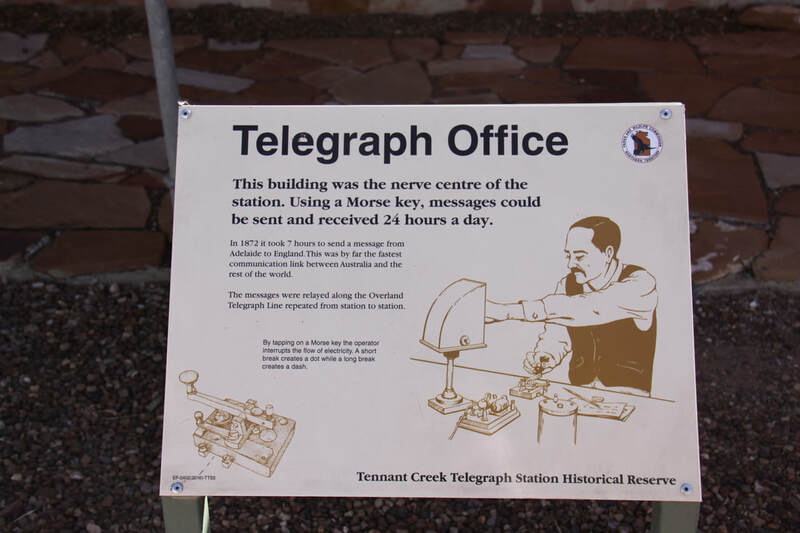 The gold had been discovered by workers on the Overland Telegraph Line. 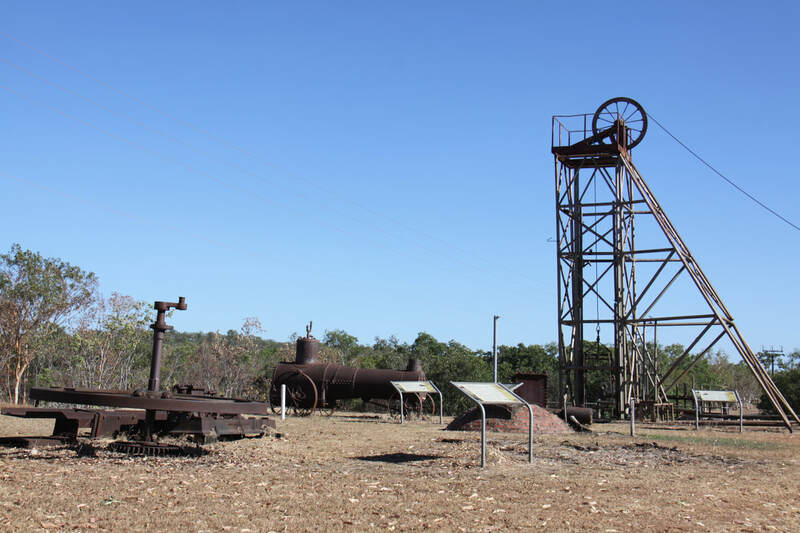 We wandered through Miners Park where rusting relics of machinery left you wondering how it was all carried piece by piece to such a remote location. On site the old station masters residence still stands. Unfortunately Pine Creek Railway Resort which included a small museum in the former station building was closed. 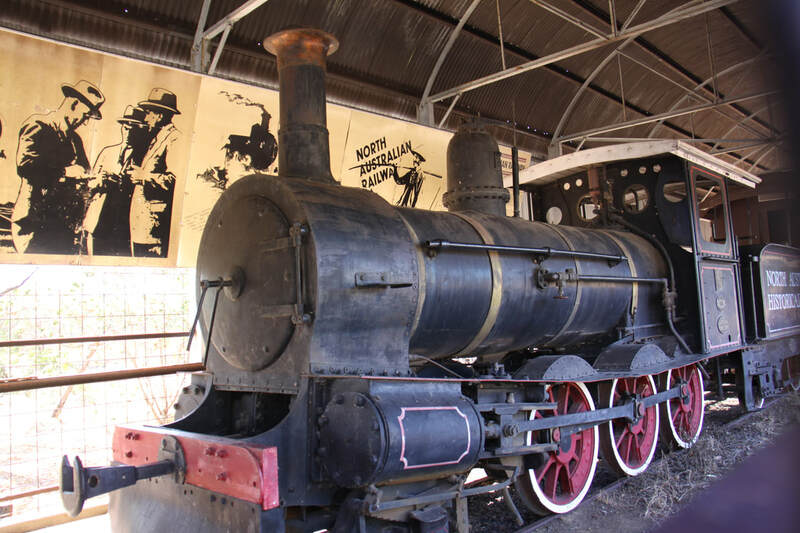 We were able though, to view from the outside, the two old railway engines that are housed in an open shed. We then tried, unsuccessfully, to find the local museum run by the National Trust. We asked in the local bar and were given directions by the curator of the Railway Museum, who told us he was opening the museum after he had drunk his coffee - it was already an hour after opening time! We followed his instructions and found a sign pointing to the museum, but no museum! ​We drove on, heading south along the Stuart Highway. A short detour off the road took us into Nitmiluk National Park and Edith Falls. It was a beautiful, tranquil spot. Here the Edith River plunges down three waterfalls into crystal clear pools. We made a service stop for fuel, food and fresh water in Katherine before heading some 50km out of town to the King River rest area for the night. This morning we continued our journey south along the Stuart Highway. 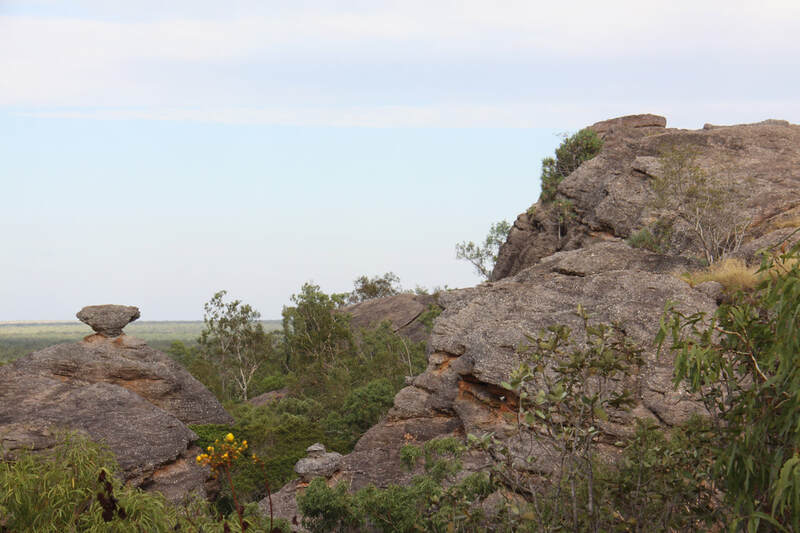 The scenery is very much the same - a variety of trees, mainly different types of gum and large termite mounds. The road surface is not as good as it has been but with so little traffic, you can keep up a steady speed. Grey haired nomads make up the majority of the traffic, mainly big SUVs towing even bigger double axles caravans. We stopped at Mataranga to have a dip in the thermal pool. Crystal clear waters fringed by palms and paper bark trees made for a relaxing break. We chatted to a couple who had been camping there for two weeks, spending two hours each morning and two hours each afternoon in the pool! As the meals in the campsite restaurant were such good value we stayed and had fish and chips for lunch. 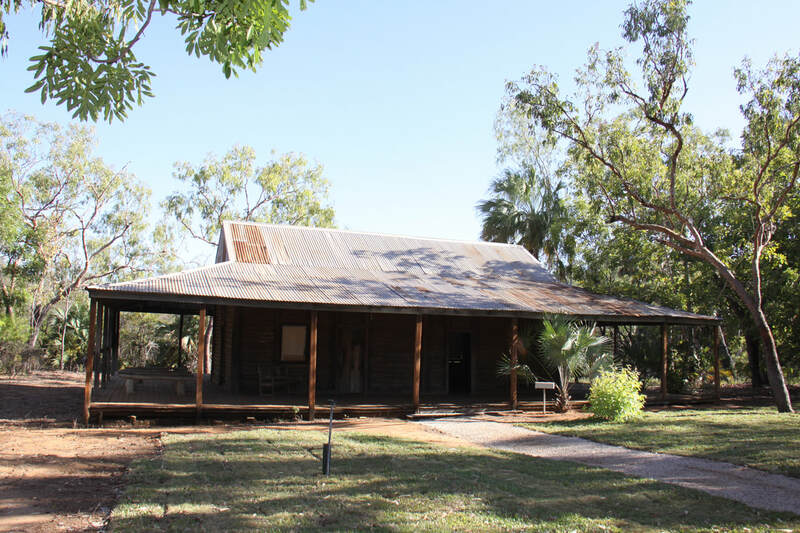 In Mataranka there is also a replica of the homestead that featured in the Australian classic, and subsequent film, "We of the Never Never". 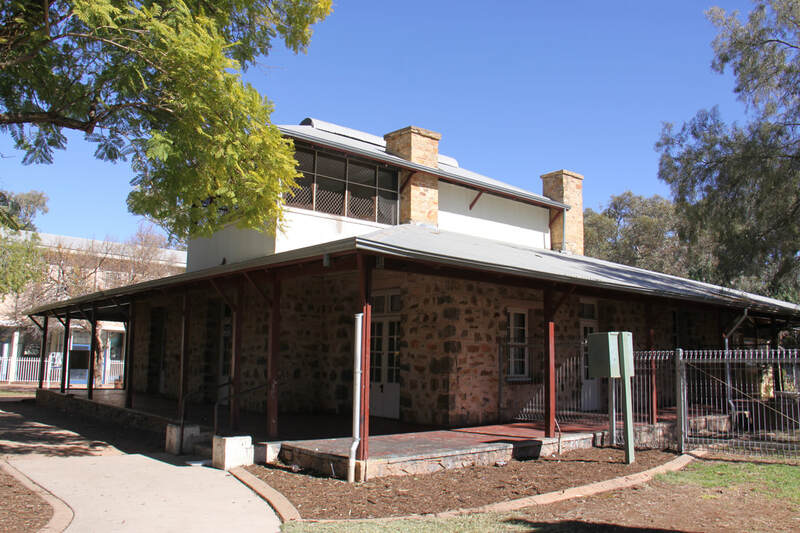 The book, written by Jeannie Gunn, was based on her life at Elsie Cattle Station in the early 1900s. We also visited the nearby cemetery where many of the real life characters were buried. We were up promptly this morning as we were hoping to cover a good mileage. It is over a thousand miles still to Alice Springs with little to stop and see on route. 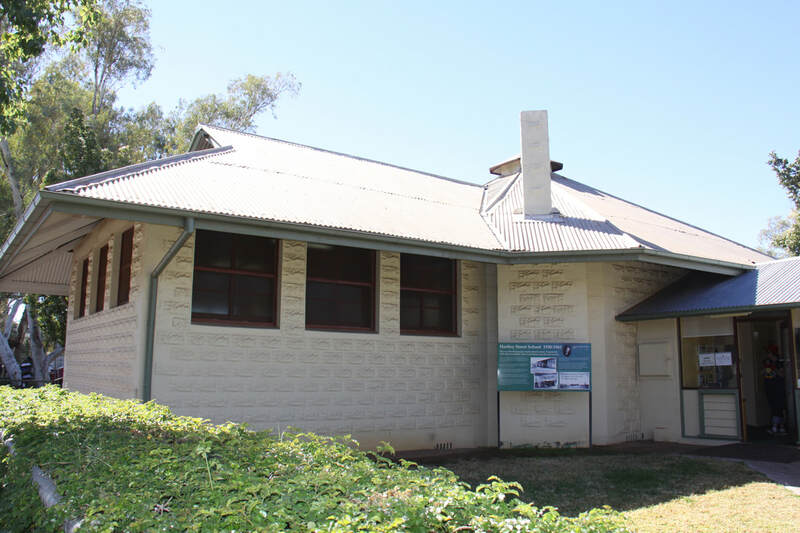 Daly waters is a historic settlement which lies just off the Stuart Highway. It was here that the explorer John McDouall Stuart (the highway is named after him) stopped for a few days whilst forging his way south to north across the then unexplored heart of the country. 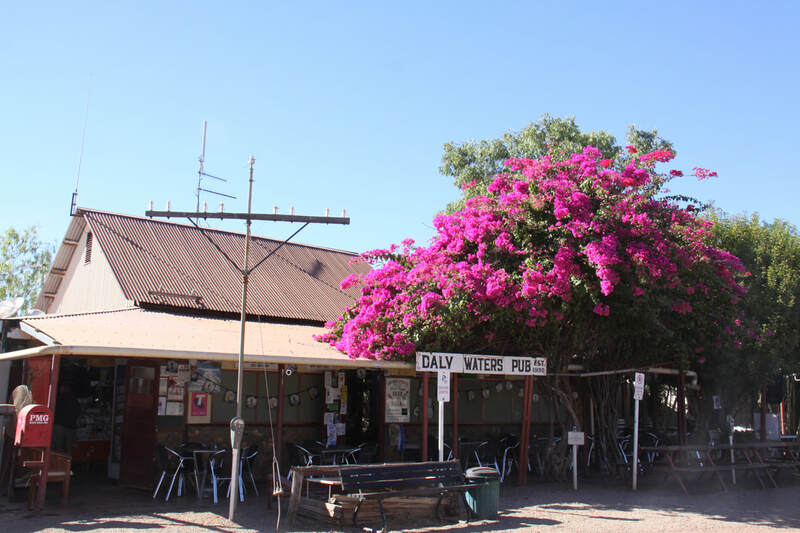 In the 1920s a drover's store was opened there and that store still stands and is now known as the Daly Waters Pub. Today the pub is a "must" see. There is nowhere really like it. 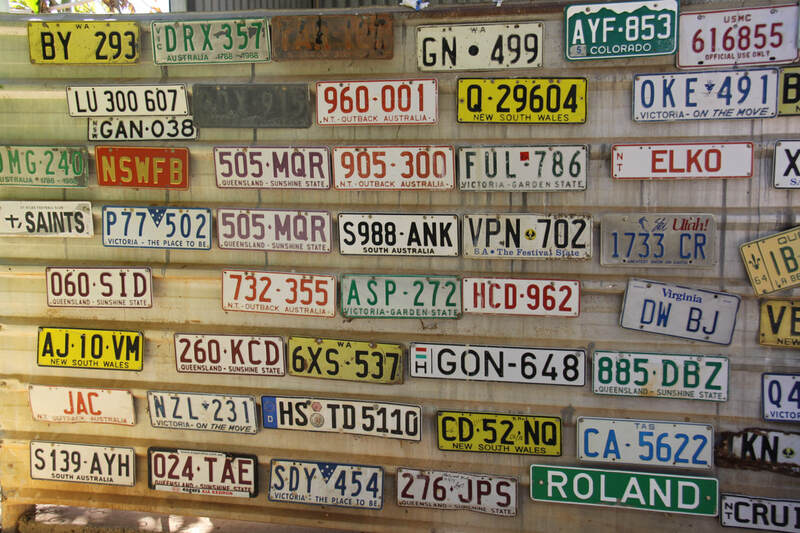 The ramshackle building is home to an eclectic collection of caps, flip-flops known here as "thongs", bras, number plates, quirky signs, banknotes and cigarette cards. I do not envy anyone the task of cleaning! Outside and in there are items to take your interest. We heard one lady utter as she came through the door - "they've got more than when we last were here". Daly Waters was the site of Australia's first international airstrip and Amy Johnson landed here in 1930. Today we saw a real change in the landscape - trees more stunted and growing further apart, red red soil and spindly grass and far reaching vistas. Our stop tonight was at Attack Creek rest area. A cairn to John McDouall Stuart marks the spot where his party were attacked by indigenous people. A more leisurely start to the day as our first stop was Tenant Creek, only 75km away. We stopped here for food and fuel but didn't linger as the former gold rush settlement has very much seen better days. 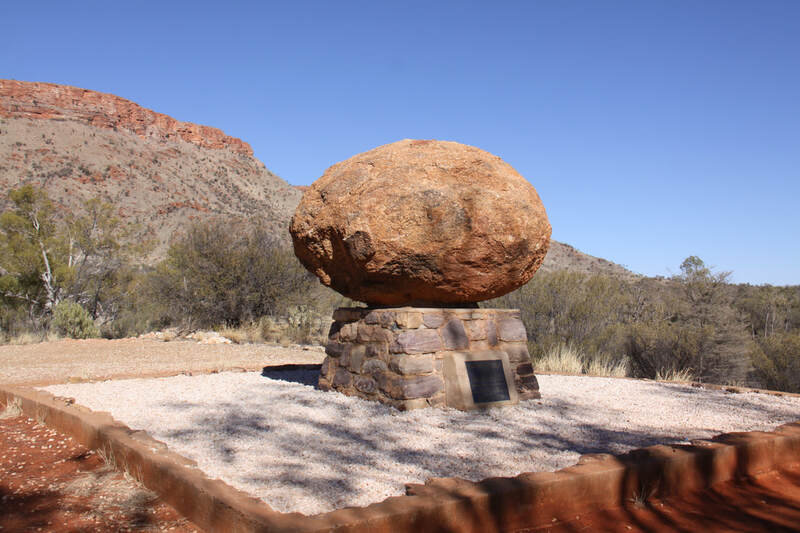 One hundred kilometres further south on the Stuart Highway lies Karlu Karlu or the Devil's Marbles. Here lie a jumbled collection of huge rounded granite boulders. 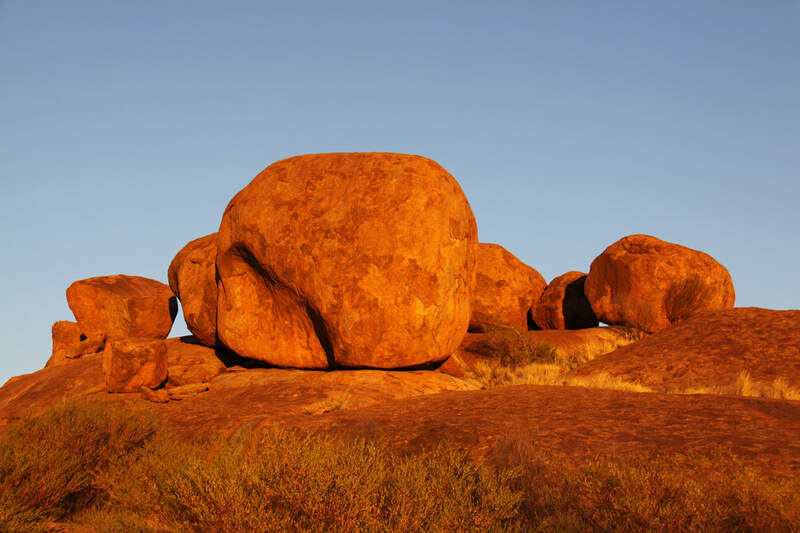 Karlu Karlu translates as "round boulders", according to the indigenous population they are the eggs of the Rainbow Serpent. A couple of short walks with informative panels takes you through the jumble of boulders, many of which are precariously balanced one on top of the other. Overnight at the Devil's Marbles bush camp. Sunrise over the Devil's Marbles was well worth the early waking. The rocks really do glow. 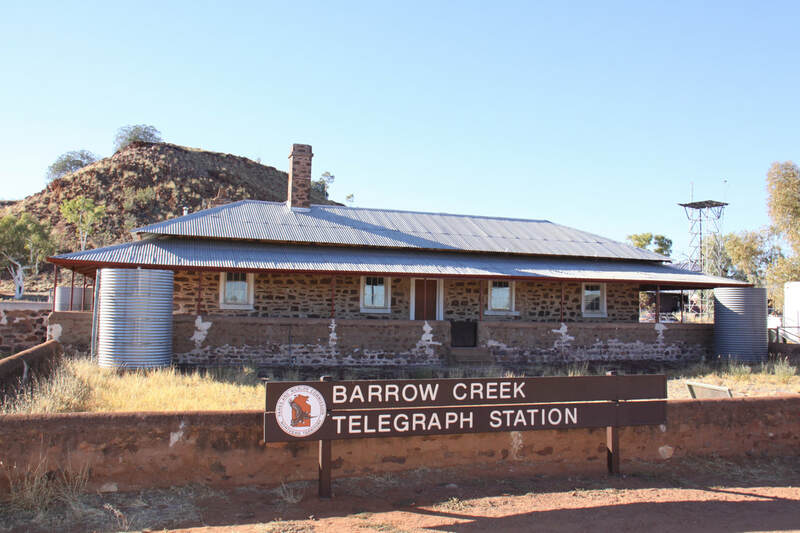 Our first stop today on our long drive south towards Alice Springs was at the old telegraph station at Barrow Creek. We also passed another memorial cairn to John McDouall Stuart. 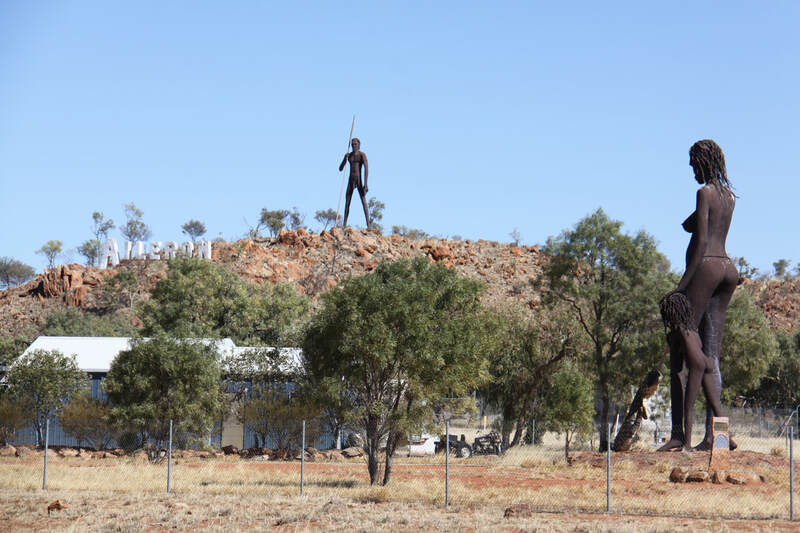 A further stop was made at the Aileron Roadhouse where the giant Anmatjere Man stands tall on the hill behind., while equally large statues of a woman and child stand by an Aboriginal Art Centre which unfortunately was closed. Overnight tonight was by the monument to mark the Tropic of Capricorn. We knew that we were in a desert region after last night. On waking the outside temperature was minus 2 deg C and inside Nicolle it was only 4 deg C! Daytime temperatures are a little cooler than Darwin but still around 30. After a short drive we reached Alice Springs - the town is beautifully situated in a wide gap between the Macdonnell Ranges and the Todd River which, according to a map of the town is usually dry. Alice Springs is like the central hub of a wheel as roads radiate out from the town, so we will be returning to the town a few times over the next week or so. As there are a number of interesting places to visit we decided to spread our sightseeing over the times we passed through. 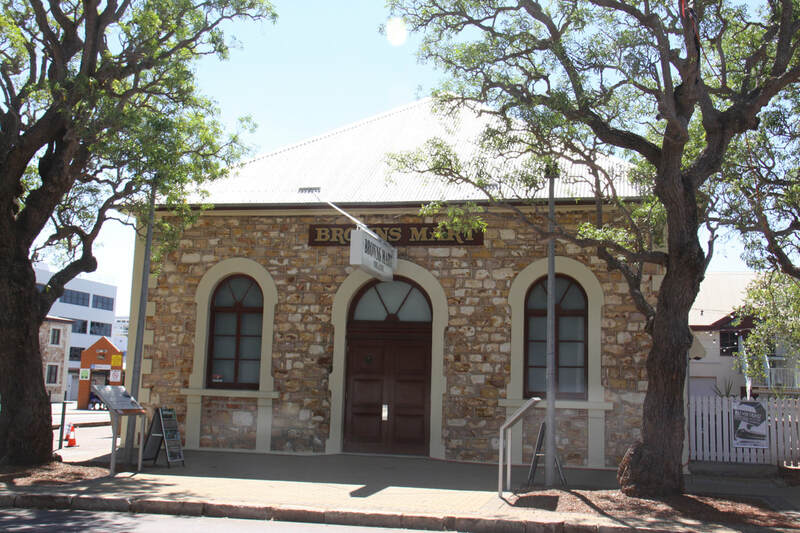 Today we walked around the historic old centre of the original Stuart Town which was the town's original name. 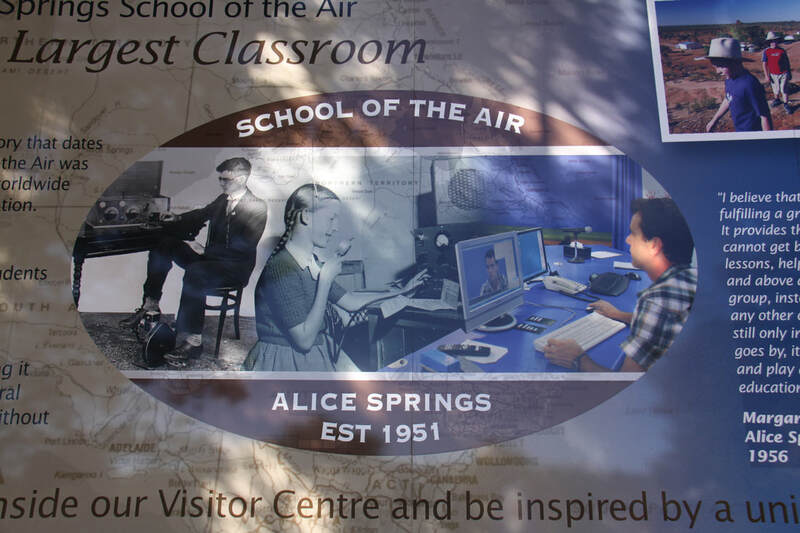 The name Alice Springs has only been used officially since 1933. 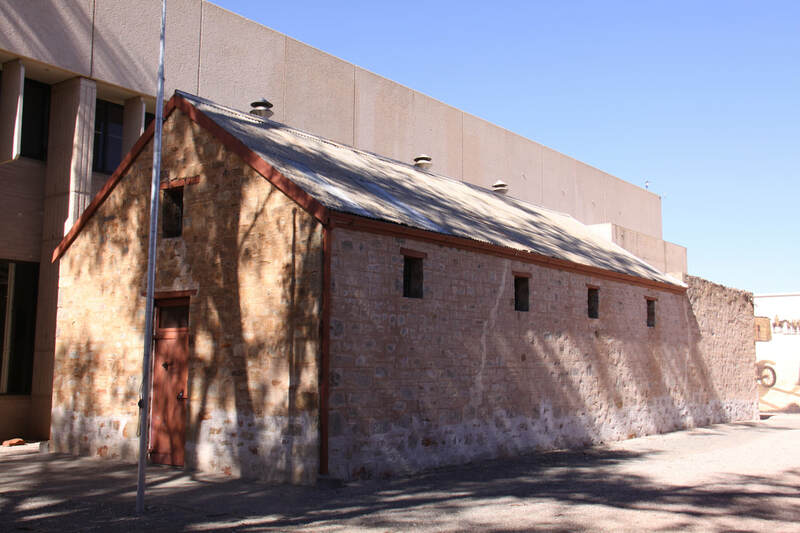 The Residence, Old Courthouse, Old Jail, Adelaide House and Old Hartley Street School date from the early 20th century. 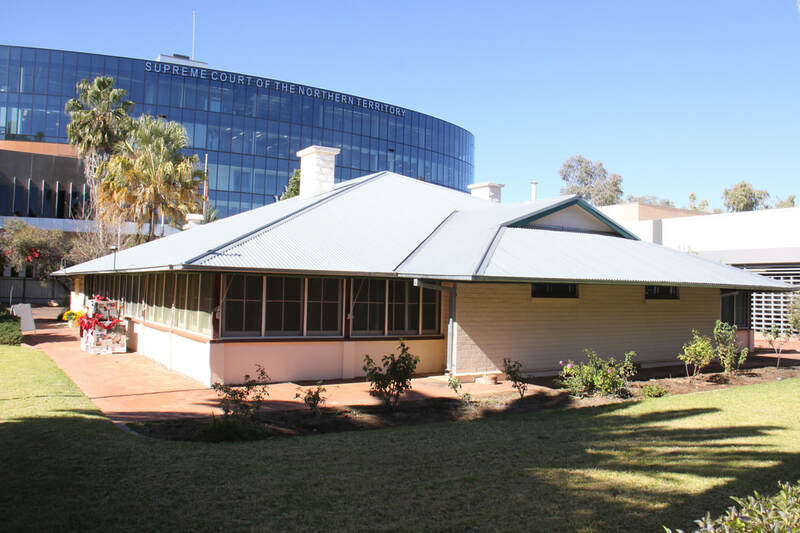 The Royal Flying Doctor Service Visitor Centre was both informative and well set out making it easy to understand the wide scope of its work. There was even a live screen showing current plane call-outs across Australia. Overnight at Mount Polhill rest area. Another very cold night. John made coffee and put on the heater so by the time we'd had coffee in bed it was nice and warm in the van. A long day's drive today so that we could reach Uluru. We stopped at Erldunde Roadhouse for fuel and a break, a very busy spot with many cars, caravans, motorhomes, motorcycles, coaches and road trains. Erldunde is recognised as being the centre of Australia. 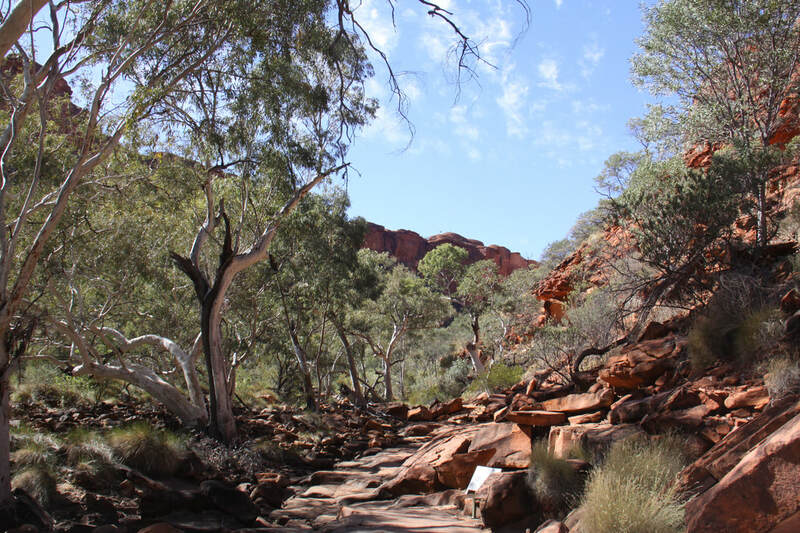 The whole area is known as the red centre and the region certainly lives up to its name. All day for as far as you can see is bright red sandy soil covered by sparse bush - small trees and clumps of spinifix. We stopped at the viewpoint overlooking Mount Conner, many people mistake it for Ayers Rock. The campsite at Yulara was very busy as this week is school holidays. Along with many other people we were given a spot on the overflow field! We started the day by heading into Yulara Resort Town Square, the location of shops, a bank and a supermarket. Access to wifi proved impossible so emails remain unopened and our blog is not up to date. At this rate we will need a long internet session when we return to Alice Springs! From Ayres Rock Campsite where we are staying for a few days, it was a fifteen minute drive along the Lasseter Highway to the Uluru - Katajuta National Park entry station. A three day pass, the shortest time you can buy, cost us 25 Australian Dollars each. 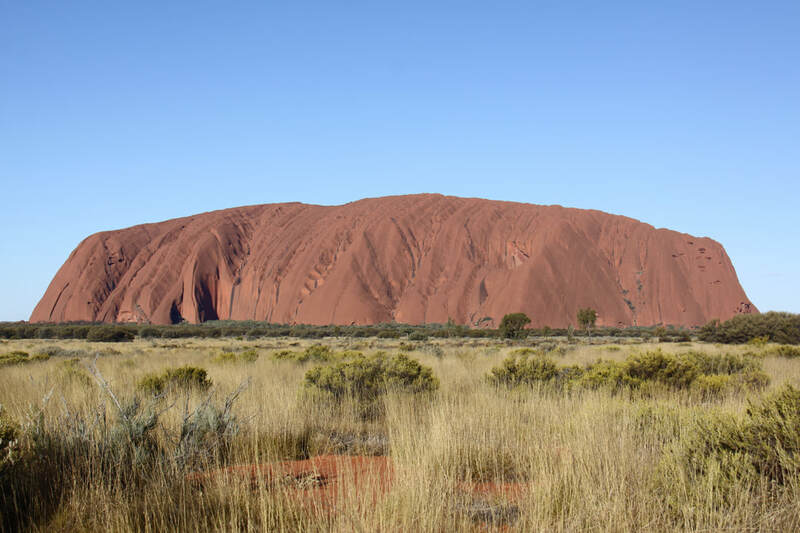 Uluru (Ayres Rock) dominates the landscape - a massive monolith of red rock with rounded but almost sheer sides with a curved but flattened top. It is a UNESCO World Heritage Site and one of the world's greatest natural wonders. Just to view it is a privilege. We parked at one of the two carparks at the base of the rock and from there followed the 2km Mala trail. 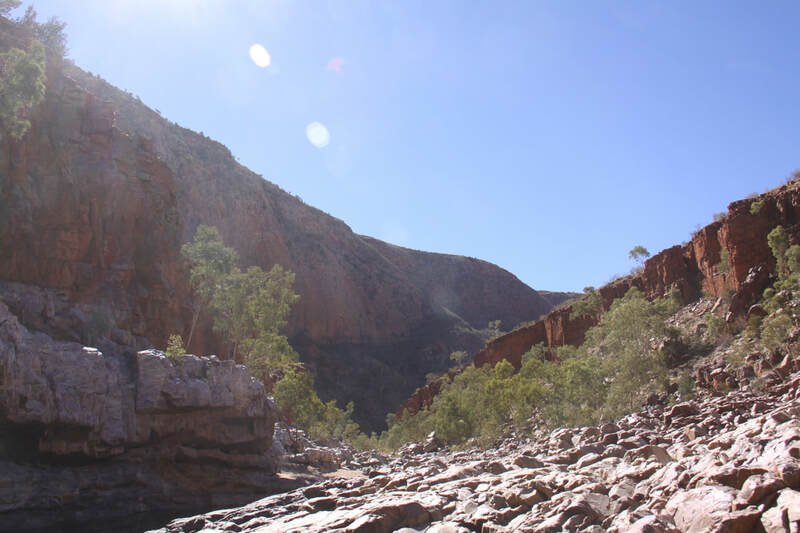 This walk took us to a number of areas of interest and into the pretty gorge with its waterhole. The sides of the rock are pockmarked with indentations and the black streaks caused by algae of water courses. At the base of the rocks along the trail were low caves and shelters, one with rock art. While eating our lunch we watched numerous people climb up Uluru. The path was steep and treacherous as well as it being a long way to the top. Signs asked people not to climb the rock as it was a sacred site to the local indigenous people. After visiting the cultural centre we headed to the "sunset" carpark. 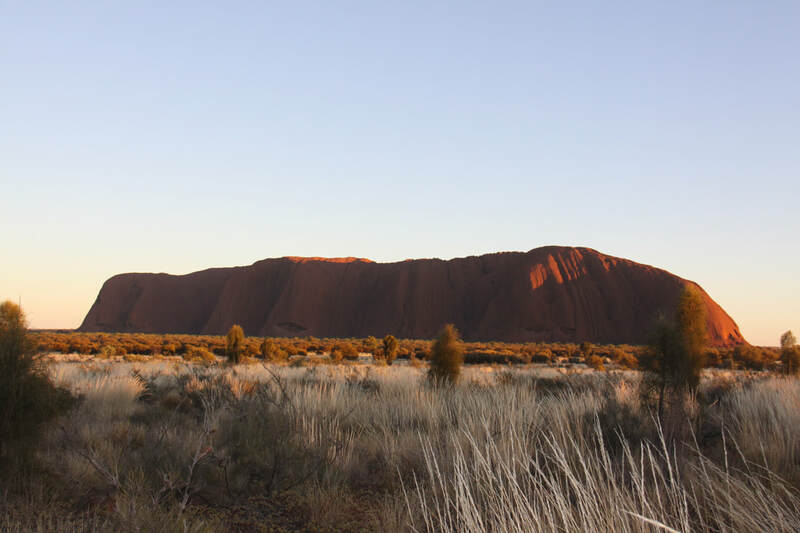 It was fascinating to watch Uluru change colour as sunset approached. It certainly was a popular sight as the large carpark was almost filled to capacity by 6pm when the sun set. We were glad that we didn't have to drive far on the dark to reach the campsite. Up at 5.30am so that we could see the sunrise over Uluru. The National Park opens at 6.30am and it was a good half hour drive from the park entrance to the sunrise carpark. We then had a further ten minute walk through the bush to the viewing area. The sun rose at 7.31am but unfortunately it was not too spectacular. 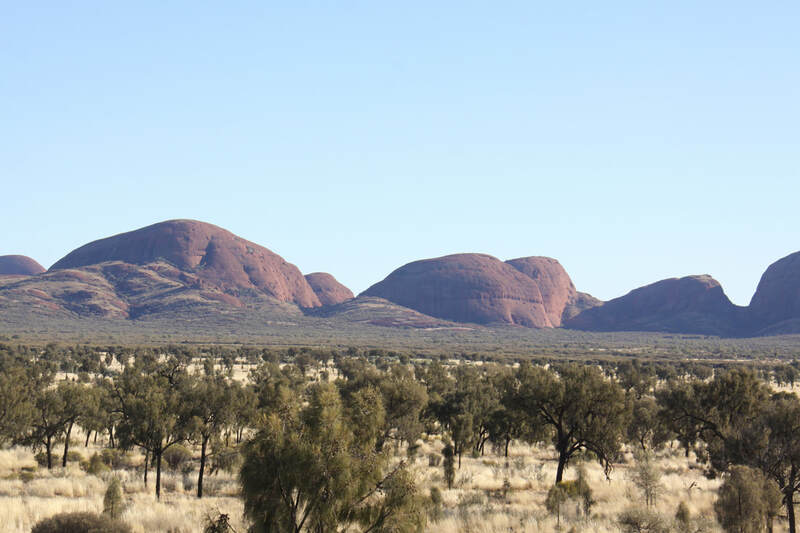 We then headed some 40km further into the park to Kata Tjuta, previously known as the Olgas. Kata Tjuta means "many heads" and it is believed that it may have once been a single monolith ten times the size of Uluru. Over the eons it has weathered down into 36 smooth rounded domes that are divided by chasms. 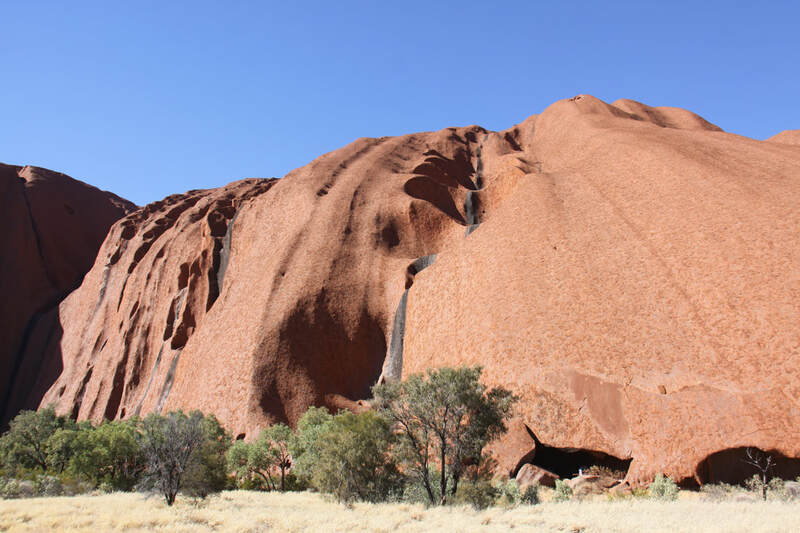 The rocks here are made up of massive boulders composed of large rounded rocks set in a conglomerate of sandstone. Our first walk was the Valley of the Winds which took us into the heart of the domes and up to the Kara Lookout. 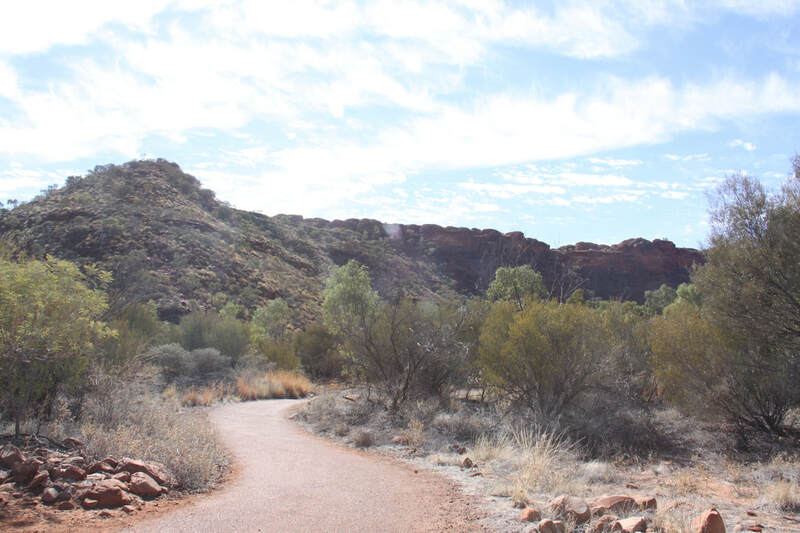 A second, shorter walk was to the Walpa Gorge with a view down into a dead end chasm at the base of Mount Olga, which at 1070 metres is the highest point of Kata Tjuta. Following lunch at the Cultural Centre at Uluru, we drove back to the campsite at Yulara for a quiet end to a day that had begun rather early. A quiet day around the campsite doing the laundry. Once it was all washed and on the line, we took the shuttle bus into the shopping centre and stocked up with food. For the next few days we will be off radar with no shops or even a roadhouse. We bought some fresh veg and a nice piece of steak and John cooked up a stir fry. 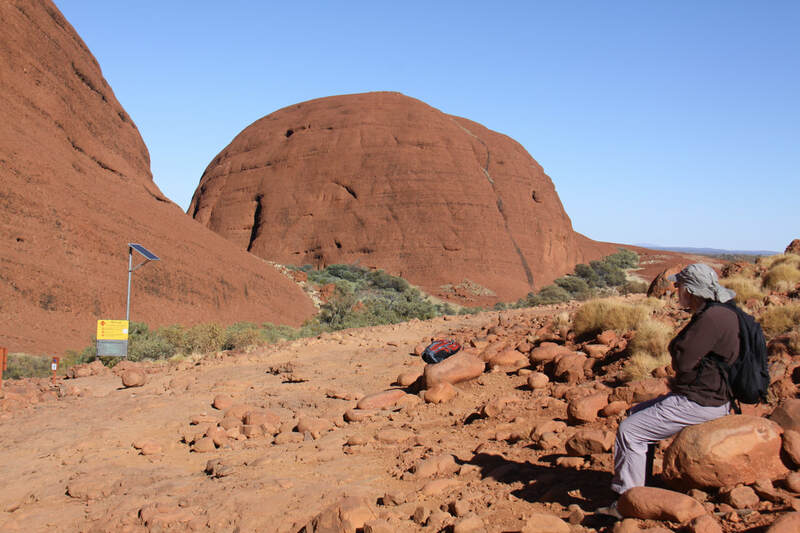 We have really enjoyed our time around Uluru but there is so much more of Australia to see that it is time to move on. We were sad to leave Ayre's Rock Campsite as despite the dark red sand getting into every nook and cranny, it had been a very pleasant place to stay for a few days while we explored the real heart of Australia. Visiting during the winter months meant that we thankfully missed the 40+ Celsius summer temperatures. Yes, we had sub zero overnight temperatures but during the daytime it was a very pleasant 18 to 20 deg C.
Today we re-traced our steps along the Lasseter Highway (there is no other road) until we reached the turn north to King's Canyon. We stopped 150km short of the canyon as apart from an expensive caravan park, there is no overnight camp area nearer. Salt Creek Rest Area is pleasant and shady. Minus 3 deg C this morning when we woke but by the time we had driven to King's Canyon it had warmed up to 30! We are getting used to these temperature flunctuations. Our first walk of the day took us along King's Canyon Creek. It turned out to be a very short walk albeit through spectacular scenery. The last part of the walk up to the lookout had been washed away and the lookout platform destroyed in a flash flood. 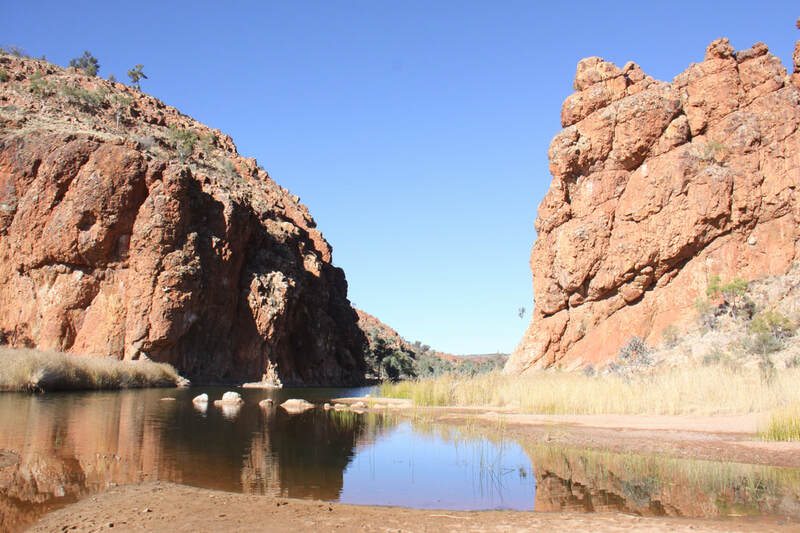 The second walk was to Kathleen Springs, a beautiful spring fed waterhole at the chasm's end. Along the walk were boards explaining how the cattle drovers used to water their cattle here. Overnight was again spent at Salt Creek. A driving day as we have to retrace our steps, all 300 miles of them back to Alice Springs. We stopped at Eridunda Roadhouse for a break then returned to Mount Polhill, a pleasant 24 hour rest area. We drove back to Alice Springs this morning. It was very busy due to a popular festival and the fact that it is school holidays. After spending a few hours in the town, shopping for food and souvenirs, updating the blog and sending emails - the latter two proved difficult as the wifi signal was week - we moved on to the West MacDonald Range. This is a beautiful region and the view from our overnight stopover at Neil Hargrave Lookout was awesome - range after range of wonderful rolling mountains. Today was spent exploring the magnificent West MacDonald range. It is an area of superlatives and wide views. 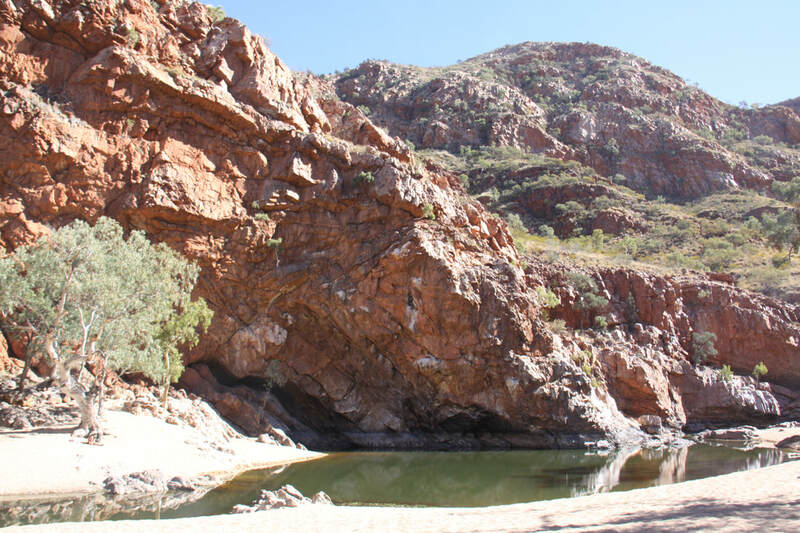 A series of parallel ridges are punctuated by gorges and waterholes. 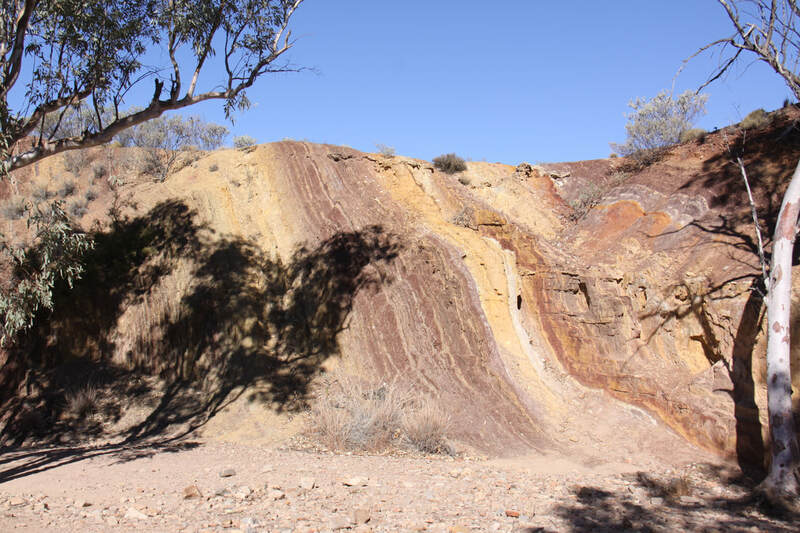 Dry river beds, ancient geological structures and both red and white gum trees make this area special. 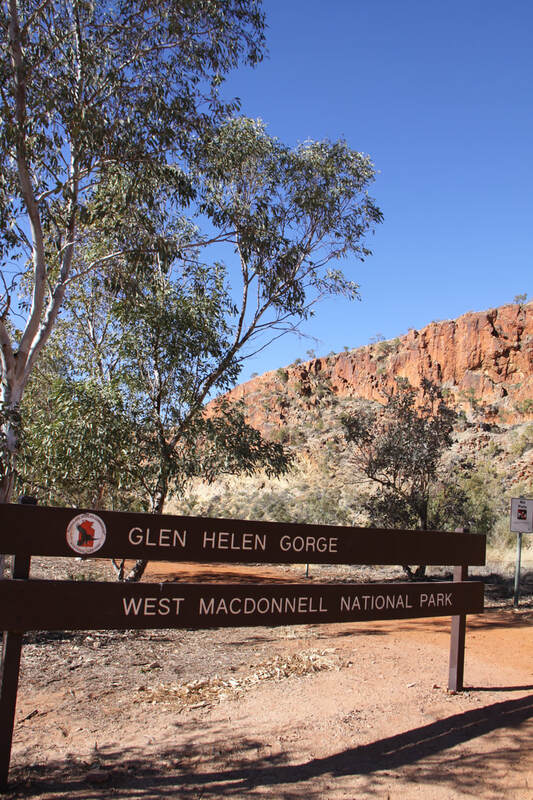 We managed a number of short walks during the day - Glen Helen Gorge and Ormiston Gorge were so picturesque. 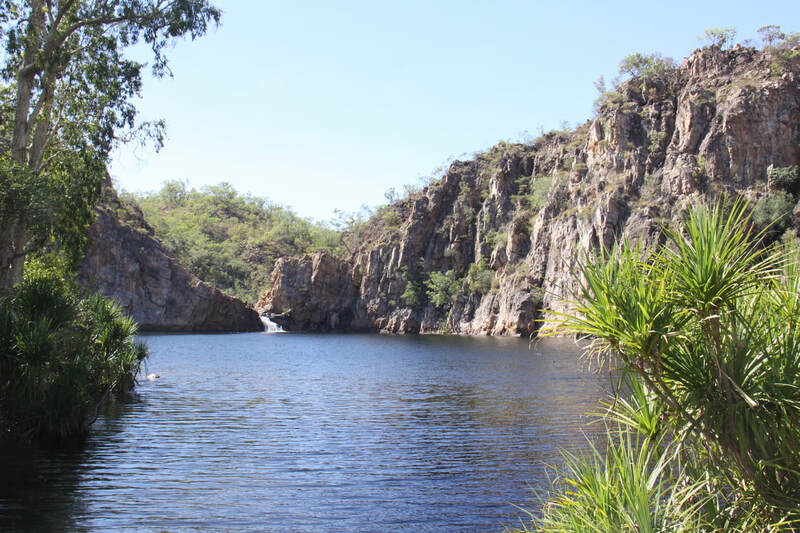 You can swim in the waterholes in each gorge but they did not look inviting. Our final visit of the day was to Ochre Pits. The local Arrante people still use the ochre. Unfortunately flies were a real nuisance here so we didn't linger. Overnight again at Neil Hargrave Lookout. With reluctance we left the West MacDonnell range and headed back to Alice Springs where we replenished stocks before heading to the School of the Air. This "school" is the hub for children aged 4 to 16 who live too far from a normal school. Lessons are conducted over the air from this centre. Each child receives an educational pack every two weeks and a tutor is assigned to guide the child through the work. Each child has a "home" visit from their teacher regularly throughout the school year however remote their home may be. A wonderful education system for these remote areas. Whilst in Alice Springs we also paid a visit to John Flynn's Grave and Memorial. John Flynn was the inspiration and instigator of the Royal Flying Doctor Service. At the end of the day we started our journey back north along the Stuart Highway. A long day's drive today re-tracing our steps back north. We made a brief lunchtime stop at Tennants Creek before reaching the historic Tennant Creek Telegraph Station some 11km north of the town. 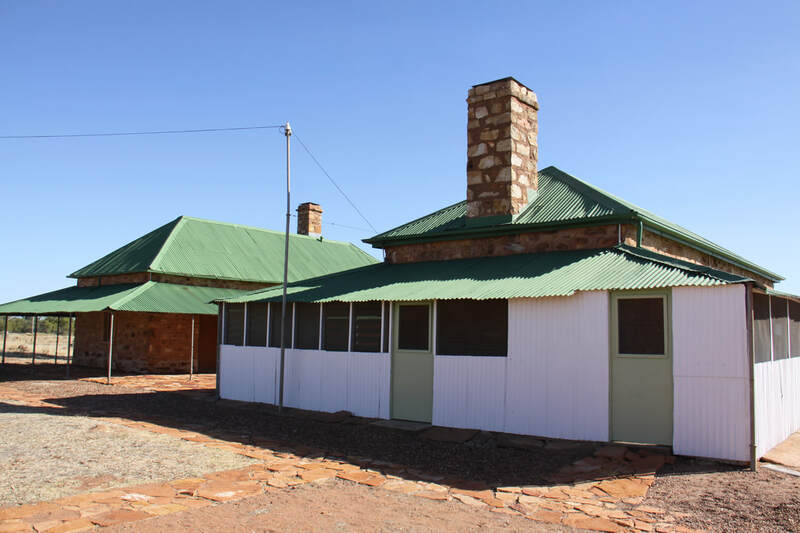 All the original buildings are still there and even one of the original telegraph poles was connected to the telegraph office next to the homestead. A little further north at Three Ways we finally left the Stuart Highway and headed west along the Barkly Highway towards Queensland. Overnight at 41 Mile Bore Rest Area, a labyrinth of sandy tracks so no problem with finding a place to park for the night. But shade, that was a different story - there was none and the temperature even an hour before dusk was in the high 30s! Another driving day! The trouble with the outback is that everything is so far apart. At least the roads are good and you only have to drop your speed when a road train passes. Some of them are over 50 metres in length. All day today we passed just one road house/filling station. At least there was a warning that there was no fuel for the next 250 kilometres. The nearest food shop was a mere 450 kilometres! We overnighted just short of the Northern Territories/Queensland border. Low trees, spinifex grass and bright red soil are our view tonight.